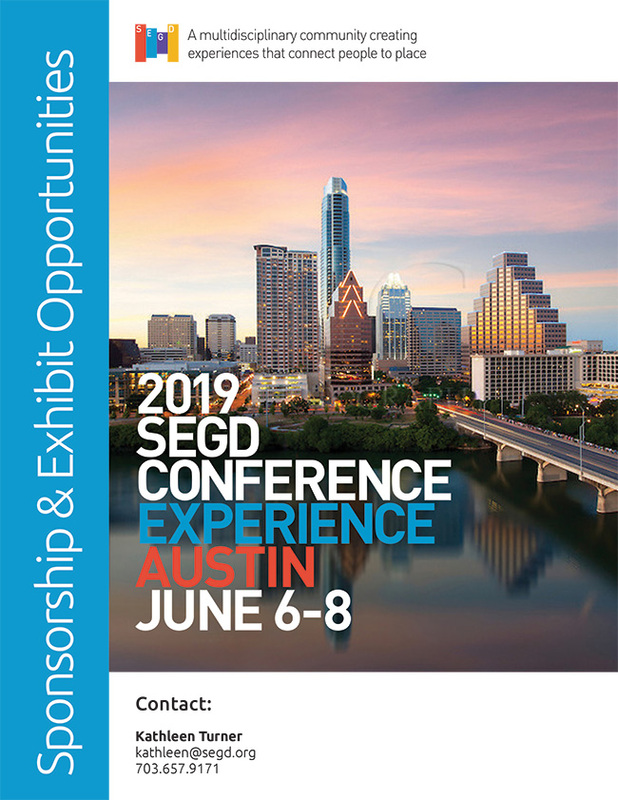 Each year, SEGD partners with an academic institution in the annual conference’s host city to hold a gathering of design academics, students and researchers. 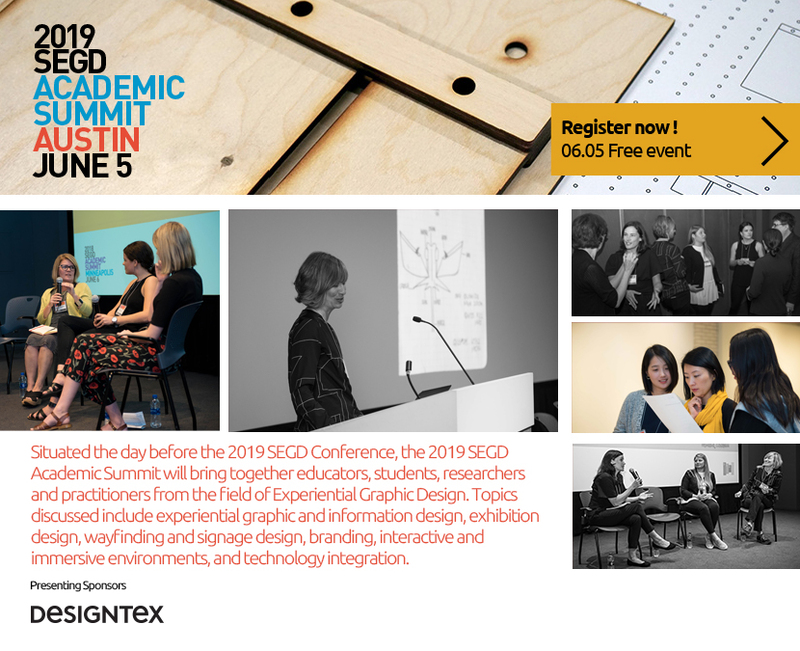 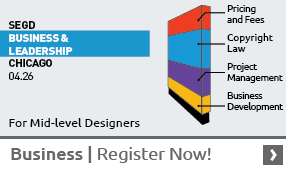 A forum for trends in design education research, projects and curriculum innovation, the 2019 SEGD Academic Summit will be held on June 5 in Austin. 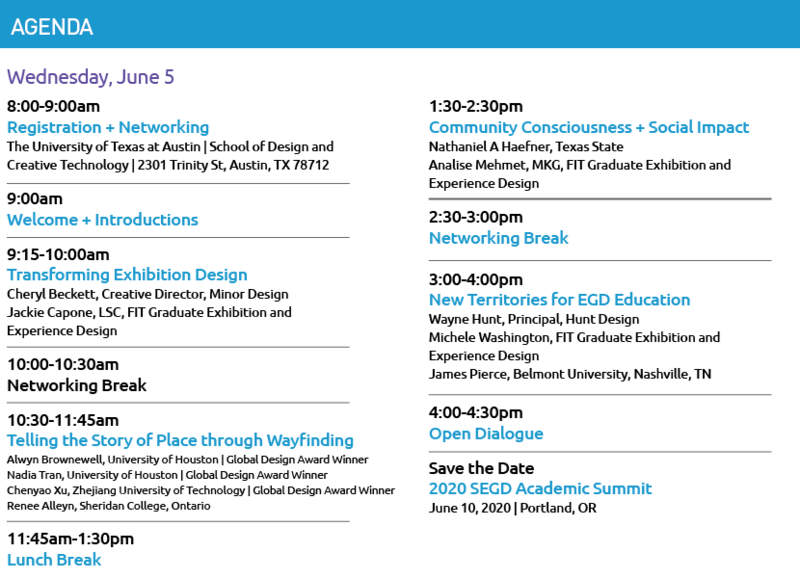 Presenters are chosen in a peer-review process by the Academic Steering Committee of SEGD of papers submitted from educators and practitioners.